How do we bring about real equality in today’s world? There is still much to be done to change long-held notions of the roles and behaviour expected of both women and men, to allow people to fully develop their potential and lead meaningful lives. Anne-Marie Slaughter, CEO of the New America Foundation and the 2018 recipient of the Dr. Michael Endres Prize, has written that men and women are finding it more and more difficult to combine the demands of life and work. Despite great strides to open up career paths for women, the next generation of male and female leaders will still confront the gender pay gap, the problem of sexual harassment, conventional notions of men’s and women’s roles in society, and other persistent issues of gender bias. What conditions are required to achieve real equality among men and women? Anne-Marie Slaughter is the CEO of New America, a think ​and action ​tank dedicated to renewing America in the Digital Age. She is also the Bert G. Kerstetter ‘66 University Professor Emerita of Politics and International Affairs at Princeton University. From 2009–2011 she served as director of Policy Planning for the United States Department of State, the first woman to hold that position. Prior to her government service, Slaughter was the Dean of Princeton’s Woodrow Wilson School of Public and International Affairs from 2002–2009 and the J. Sinclair Armstrong Professor of International, Foreign, and Comparative Law at Harvard Law School from 1994-2002. 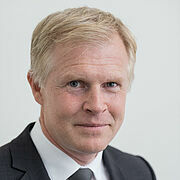 Henrik Enderlein is President and Professor of Political Economy at the Hertie School of Governance. Katrin Suder is Chairperson of the Advisory Council on Digitalisation to the German Federal Government. From August 2014 until April 2018, she served as State Secretary for the German Federal Ministry of Defence. 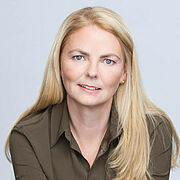 She is a Member of the Board of Trustees and Senior Fellow at the Hertie School. 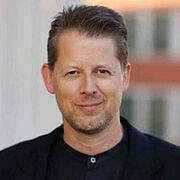 Andrew Moravcsik is Professor of Politics and Director of the European Union Program at Princeton University. He has authored over 125 scholarly publications, including four books, on European integration, international relations theory, qualitative/historical methods, human rights, international law and organization, and other topics. 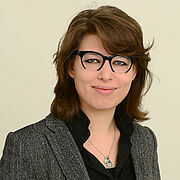 Ana-Cristina Grohnert has served as Chairman of the Executive Board of Charta der Vielfalt e.V. since 2013. From July 2017 to the end of March 2019, she was Labor Relations Director and Member of the Board of Management for Human Resources at Allianz Deutschland AG and member of the Board of Management of Allianz Versicherungs- und Allianz Lebensversicherungs-AG. Polina Garaev is class of 2019 Master of International Affairs candidate at the Hertie School of Governance and Executive Editor of The Governance Post, our student magazine. 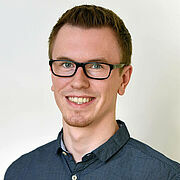 Manuel Clemens is class of 2019 Master of Public Policy candidate and member of the Gender, Equality and Sexuality Club at the Hertie School. The Dr. Michael Endres Prize of the Hertie School of Governance, a 50,000-euro research prize, honours distinguished academics whose work centres on topics within the spectrum of the Hertie School’s research and teaching, and who have helped bridge academic research and policymaking. The prize is named for the long-time Chairman and current honorary Chairman of the Hertie Foundation’s Board of Trustees, Michael Endres, who was instrumental in founding the Hertie School in 2003 and who has helped guide its successful development since. Anne-Marie Slaughter was awarded the 2018 Dr. Michael Endres Prize by the Hertie School of Governance on 8 October, 2018. The Hertie School of Governance reserves the right to publish photographic, audio and film documentation of this event in print, online, and audiovisual formats. By registering for the event you consent to appear in the documentation.